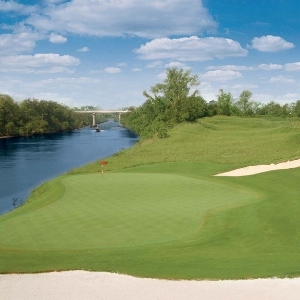 Designed by golf legend, Greg Norman, the Norman Course at Barefoot Resort is a true beauty with seven holes running along the Intracoastal Waterway. 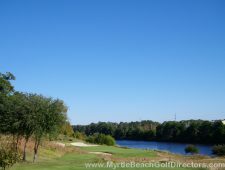 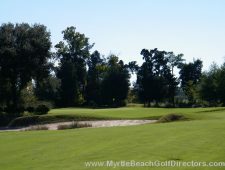 According to it’s official website, the course was designed with Greg Norman’s philosophy to “bring into play the ‘bump and run’ shots around the greens.” The course is a par 72 that runs approximately 7,200 yards and along with the other Barefoot courses has received multiple accolades including being named a “Top 60 Course in Myrtle Beach” for 2010. 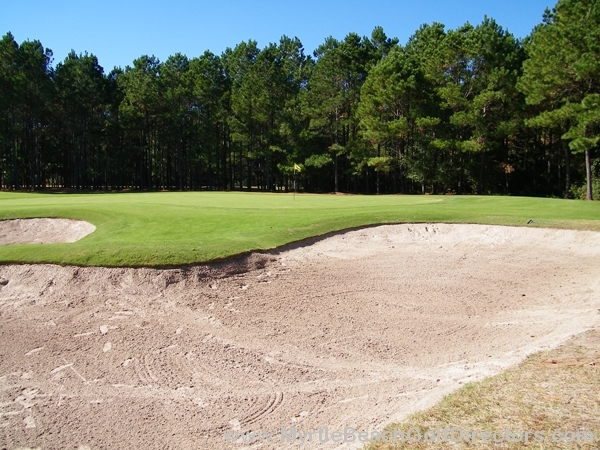 While playing the Norman Course you will want to have your sand wedge ready. 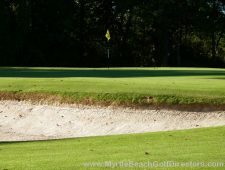 There are 59 soft sand bunkers scattered throughout the course. 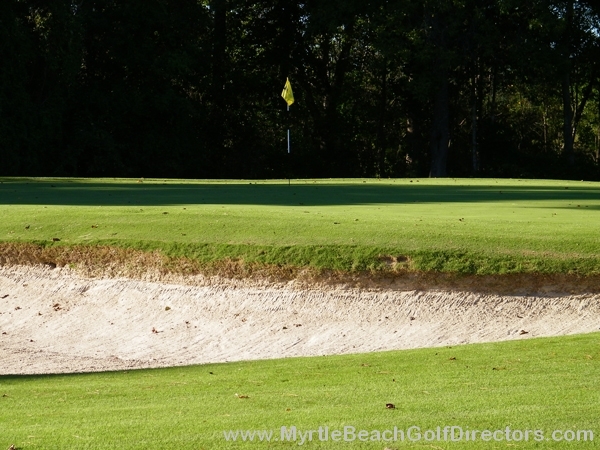 Some of the sand traps are quite large and could put a damper on your day if you find them too often. 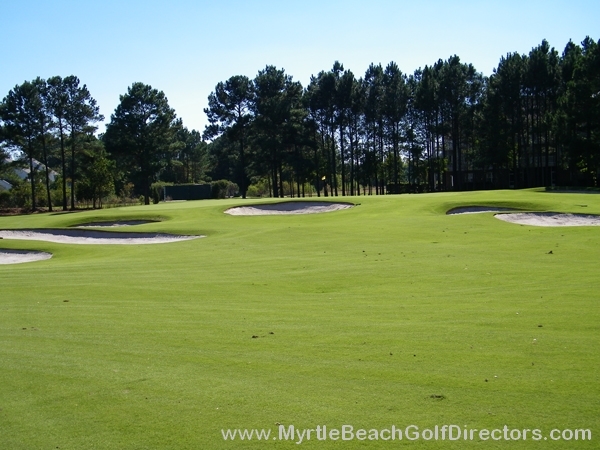 One of the unique features about the Norman Course is that it contains only 60 acres of mowable grass on all 18 holes. 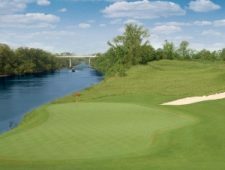 The tees and fairways consist of GN-1 hybrid turf developed by Greg Norman Turf. 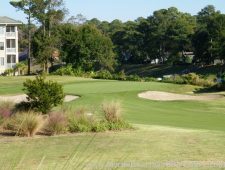 The greens consist of Champion UltraDwarf Grass with approaches of Tifdwarf grass. 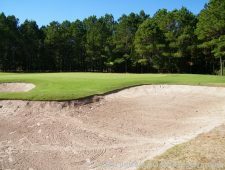 Some have called the Norman Course at Barefoot the most challenging of the four Barefoot courses. We’re not sure if we agree with that assessment; however, the Norman Course will challenge even the lowest handicappers. 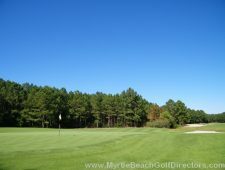 As we have noted in our reviews of the other Barefoot golf courses, a round at the Norman Course can be pricey. Playing midweek will save you a few bucks and the rates during the summer months are well below peak season rates. 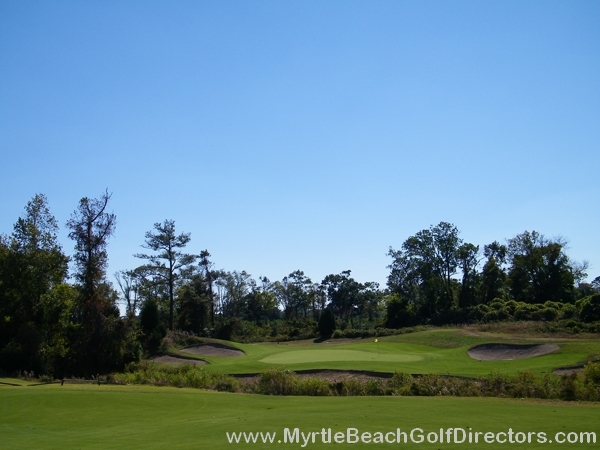 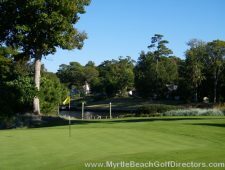 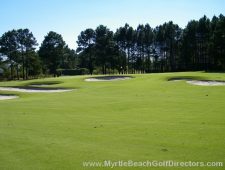 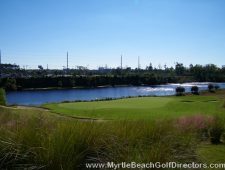 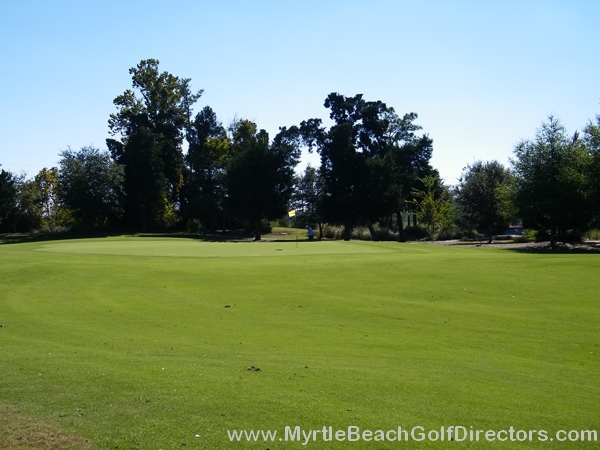 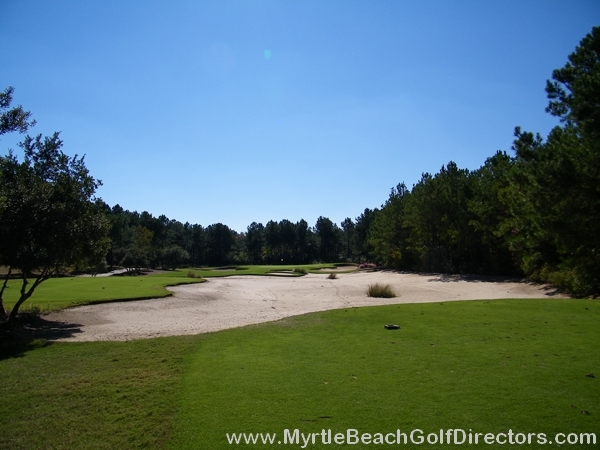 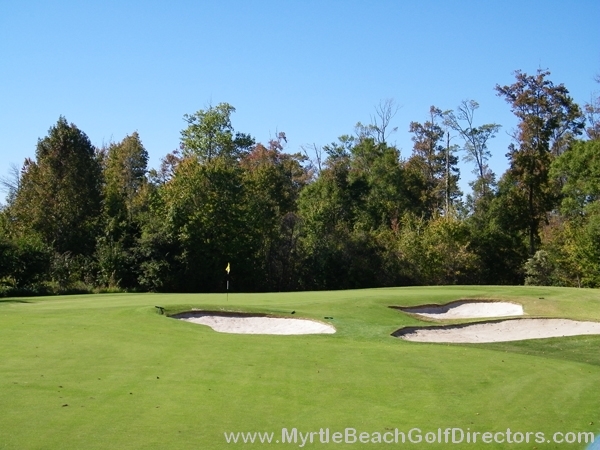 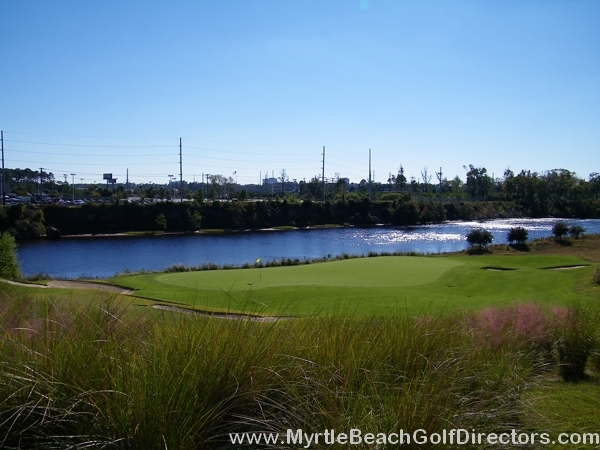 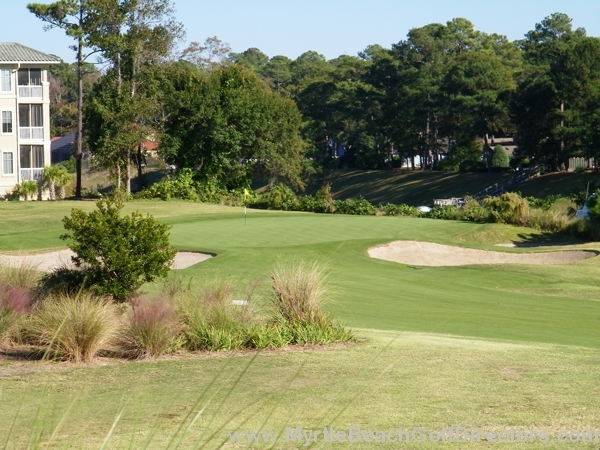 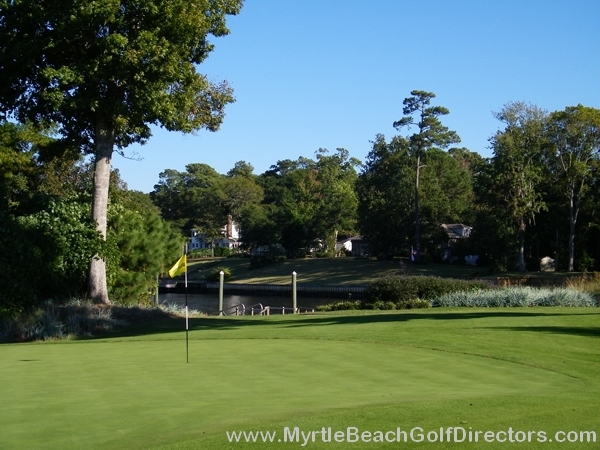 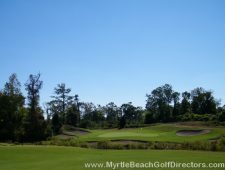 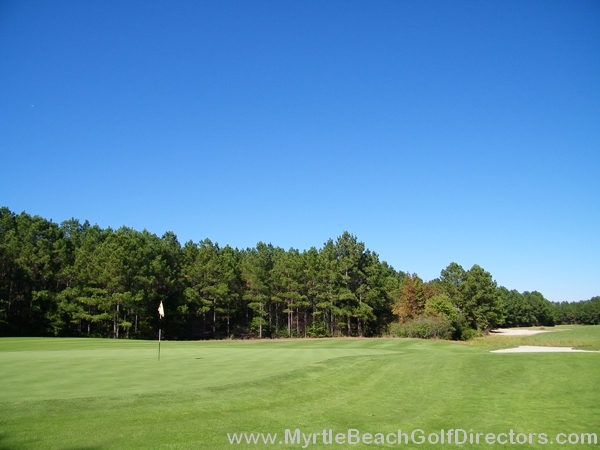 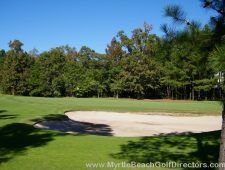 Call Myrtle Beach Golf Directors today and we’ll get you started on booking a golf getaway that you won’t soon forget.